Bouncers is a play for four actors and was first performed as a one-act play at the Edinburgh Festival in 1984, and then transferred to London. It was revised and updated in 1991, which is the version we performed. The play is a hugely entertaining romp through the seedy nightlife of a northern town. Although set in the north of England, the play could as easily have been set in the fleshpots of Watford or Colchester. 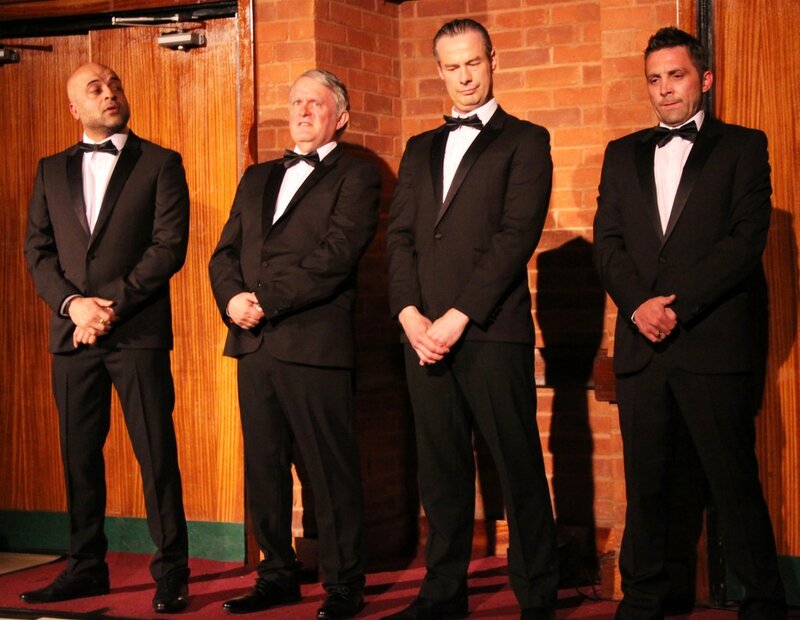 The action takes place over one evening and is hosted and narrated by our four Bouncers at the night club. The four introduce and then play all the other characters, mainly the lads and lasses out on the lash and hoping to pull. The play is fast paced, extremely funny and very theatrical, making full use of sound and lighting. We performed it on the floor of the hall with an audience on two sides.